Although Portland, Oregon, is not one of the larger cities of the West Coast, the influence it has on the culture and lifestyle of the Pacific Northwest is all out of proportion to its actual size. 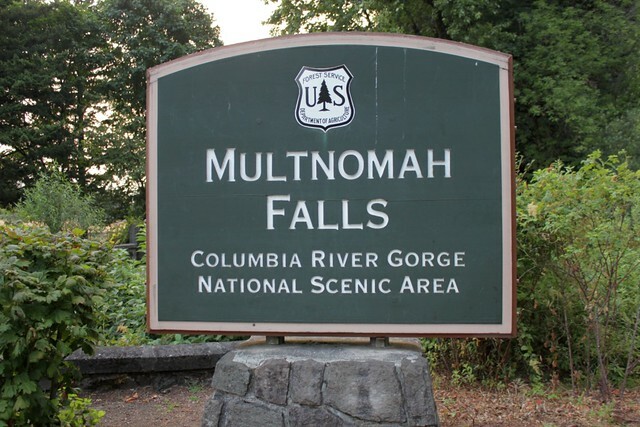 Famous for its eco-friendly aesthetic and gorgeous scenery, Portland is a great place to get away for a weekend or a week, with attractions in the city and in the surrounding mountains and forests enough to occupy anyone’s vacation to the fullest. 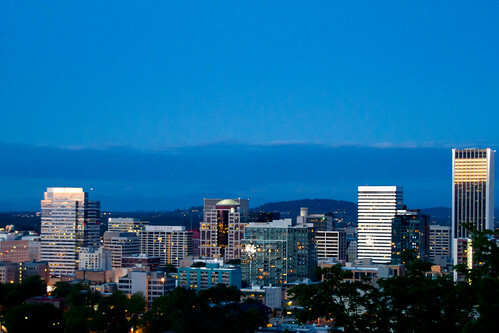 If you’re looking for a city with a slower pace and a more relaxing approach to life, Portland is the right city for you, and Transfercar can help you get there with a free rental cars and R.V.s. Discover how here. The first caucasian explorers to venture to what would one day become Portland were members of the famous American expedition led by Lewis and Clark. The first land claimed in the area was held by William Overton, Asa Lovejoy, and later F.W. Pettygrove. Legend has it that Lovejoy, of Boston, and Pettygrove, of Portland, Maine, both wanted to name the emerging settlement after their hometowns, and that Pettygrove won the right to name it Portland on two out of three coin tosses. The city was incorporated in 1851 and saw several booming decades as logging, fishing, agriculture and the arrival of the railroad made it the largest western city north of San Francisco. Although it eventually was surpassed by Seattle, a strong core of steelworks, lumber industry and railroad lines kept the Portland economy strong. In the 1970s, a new strain of progressivism took root in Portland, leading to such forward-thinking policies as an urban growth boundary and an emphasis on creating parks and open spaces downtown, which gave Portland a leg up in combating the urban blight afflicting so many cities at that time. Upon this foundation, Portland has for decades hosted countercultural artists and activists, environmentalists, tech companies and workers and others who love to call this uniquely modern city their home. For visitors today, what this means is that in visiting Portland, you’ll be enjoying the fruits of decades of conscious urban planning and development to create the cleanest, safest and most inviting city center possible. Whether you’re after the architecture, the indie and punk music scenes, or the famous microbreweries, you’ll not be disappointed here. Read on for more of the top things to do in Portland. Despite its small size, Portland has accommodations ranging from world-class 4-star hotels to cozy bed & breakfasts and trendy hostels. Options listed are roughly in order from most to least expensive. Good Food Here on Belmont; a central location for food carts of all varieties. Portland is one of the most diverse cities in Oregon, and over the years it has become home to a dazzling variety of cuisines from around the world. Many restaurants are positioned to offer stunning views of Portland and the surrounding landscape. The options below, which are only a scratch on the surface of Portland’s culinary offerings, are ordered roughly from most to least expensive. In addition to the attractions within the city itself, Portland is situated near a number of popular attractions. The following are all within easy reach from a home base in Portland. It’s not hard to find reasons to love being in Portland. Its unique combination of culture, history and setting have charmed visitors for over a century, and with the right planning and preparation, you could be the next to enjoy the Portland experience for yourself! Although we’ve tried our best to give you a good list of the top things to do in Portland, the truth is that a complete list of everything that makes this a city worth visiting would be so long as to be unreadable; the only true way to understand what makes Portland special is to see it for yourself. If you’re travelling from a major U.S. city, for more information, check out Transfercar’s free rental cars and R.V.s.